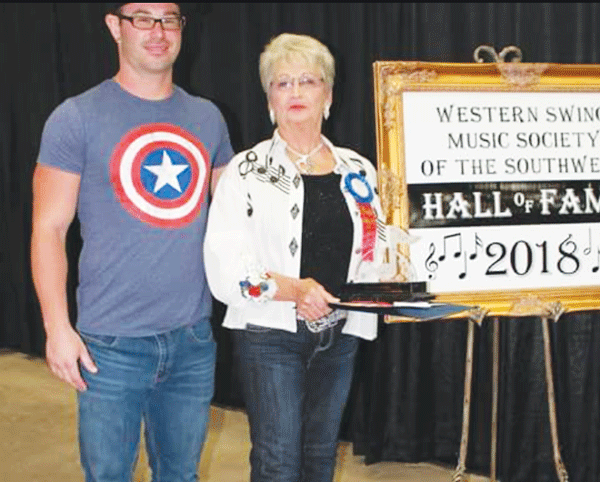 Doris Ann Baker of Waurika joined her husband in the Western Swing Music Society Hall of Fame. 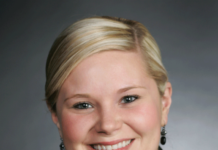 Baker and her late husband, Henry Baker, shared their love of music ever since marriage. In 1981 the couple began working with the Texas Playboys and began to perform what has become known as Western Swing Music. Baker began her foray into the genre by learning every Bob Wills song suggested to her. In 1982, Gene Crownover took Henry and Doris to Turkey, Texas for Bob Wills Day. He asked Henry to play bass for the outdoor show. Gene predicted they’d never miss this annual event in Turkey again if they only went once. In 1999, Henry and Doris bought the future “Church of Western Swing” (COWS) in Turkey- a 100 year old Assembly of God church-and made it into a music theater known as the “place to be” in Turkey, Texas for Bob Wills music. In 2011, the COWS was named Music Venue of the Year in Texas by Governor Rick Perry, through the Cowtown Society of Western Music. With the venue grew the band, The COWS Swing Band. 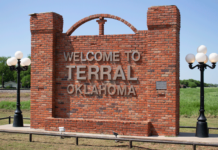 Over the years Doris and Henry hosted Valentine, Halloween and Christmas parties in addition to organizing seven days of music shows during Turkey’s Bob Wills Days, held the last week of April. Doris was always the hit of the evening. Some of the musicians and singers she worked with included her husband Henry Baker, Curly Lewis, Tommy Perkins, Benny Garcia, Eldon Shamblin, Billy Dozier, Gene Thomas, Bob Kiser, Bob Womack, Gene Casaway, Bobby Boatright and Leon Rausch.